Heat oven to 375°F. In large bowl, stir cookie mix, brown sugar, butter, peanut butter, water and egg until soft dough forms. Roll dough into 40 (1 1/4-inch) balls; place 2 inches apart on ungreased cookie sheet. Press each ball with fingers to slightly flatten. Bake 9 to 10 minutes or until light golden brown. Cool 3 minutes; remove from cookie sheet to wire rack. Cool completely, about 15 minutes. In small bowl, stir peanut butter, frosting and milk until well blended. 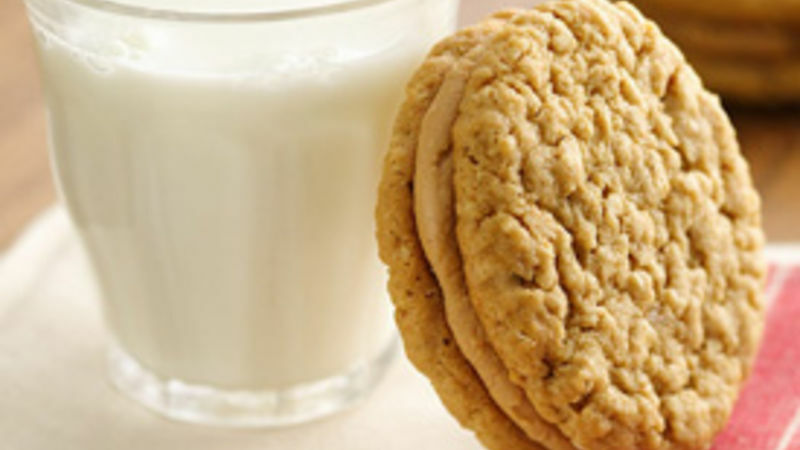 For each sandwich cookie, spread about 1 tablespoon filling on bottom of 1 cookie. Top with another cookie, bottom side down. Press together lightly, twisting slightly. Store tightly covered at room temperature.